Pismo Beach voters may notice something missing from their ballots when they step into the voting booth on Nov. 6. Members of the City Council voted unanimously to cancel elections for mayor and two council seats at an Aug. 21 meeting. The decision was the result of a total lack of candidates filing to run against incumbent Mayor Ed Waage and Councilmembers Sheila Blake and Mary Ann Reiss. PERFECT POLICY? 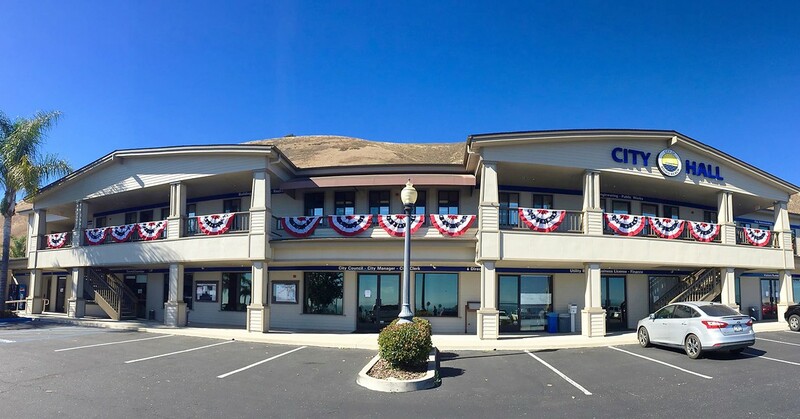 Pismo Beach City Council opted to cancel citywide elections for this November after no candidates filed to run against the council's incumbents. "This is historic," Waage said. "We've never had a case where we've canceled an election before." According to the state's election code, a city's governing body can cancel an election and appoint nominees to elected office if the number of candidates doesn't exceed the number of open elected positions. In Pismo Beach's case, Waage, Blake, and Reiss were the only candidates to complete all their paperwork to run for election by the Aug. 10 filing deadline. Pismo Beach voters will still get to vote in statewide and county-level races, as well as on ballot measures. With the Aug. 21 vote, Waage will serve another two-year term as mayor and Blake and Reiss will serve for another four years. City staff characterized the situation as rare, and noted that canceling the election would save the city about $10,000. Pismo's lack of electoral challengers makes it an exception in South SLO County, where two neighboring cities are preparing for competitive council races with multiple candidates. In Arroyo Grande, five candidates are running for two seats on the City Council, and a current council member is also challenging the incumbent mayor. Grover Beach has three candidates running for mayor, and another three candidates, including two incumbents, are running for two City Council seats. Speaking at the Pismo Beach meeting, Waage characterized the vote as a sign of the public's confidence in the current members of the council. "I think it's a tribute to how we are operating together," Waage said. "I think they see we are doing great things for the city and we work well together." Blake didn't seem as sure.